The aircraft’s motion about its longitudinal axis resembles the roll of a ship from side to side. In fact, the names used to describe the motion about an aircraft’s three axes were originally nautical terms. They have been adapted to aeronautical terminology due to the similarity of motion of aircraft and seagoing ships. The motion about the aircraft’s longitudinal axis is “roll,” the motion about its lateral axis is “pitch,” and the motion about its vertical axis is “yaw.” Yaw is the left and right movement of the aircraft’s nose. The three motions of the conventional airplane (roll, pitch, and yaw) are controlled by three control surfaces. Roll is controlled by the ailerons; pitch is controlled by the elevators; yaw is controlled by the rudder. The use of these controls is explained in Chapter 6, Flight Controls. Other types of aircraft may utilize different methods of controlling the movements about the various axes. For example, weight-shift control aircraft control two axes (roll and pitch) using an “A” frame suspended from the flexible wing attached to a three-wheeled carriage. These aircraft are controlled by moving a horizontal bar (called a control bar) in roughly the same way hang glider pilots fly. [Figure 5-19] They are termed weight-shift control aircraft because the pilot controls the aircraft by shifting the CG. For more information on weight-shift control aircraft, see the Federal Aviation Administration (FAA) Weight-Shift Control Flying Handbook, FAA-H-8083-5. 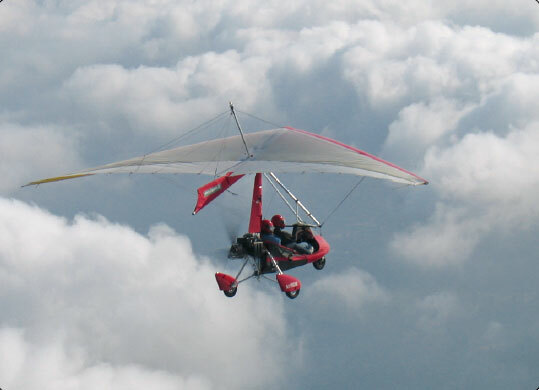 In the case of powered parachutes, aircraft control is accomplished by altering the airfoil via steering lines. Figure 5-19. A weight-shift control aircraft. Figure 5-20. 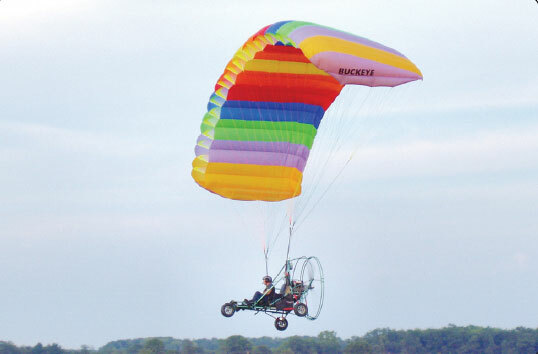 A powered parachute.